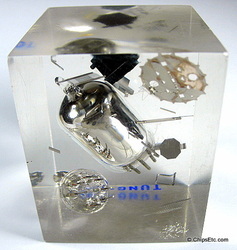 ​Lucite paperweight contains the individual components that go into making a vacuum tube as well as a completely assembled vacuum tube. 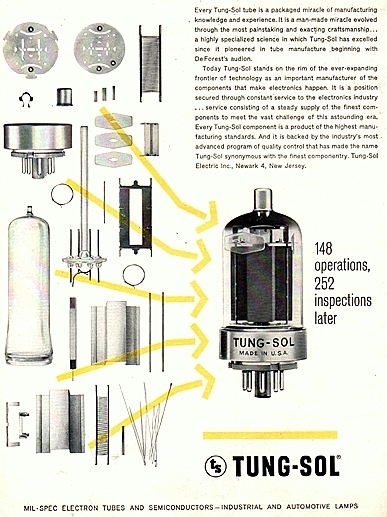 Tung-Sol was a manufacturer of radio & TV vacuum tubes and had a factory in Bloomfield (Newark), New Jersey. 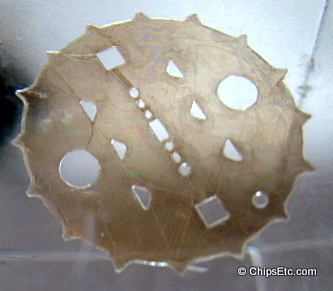 Tung-Sol also manufactured discrete transistors, silicon rectifiers, diodes, and automotive headlamps and flashers. 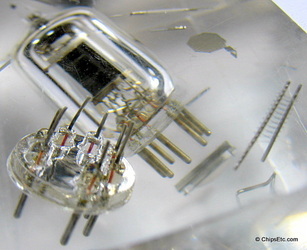 Tung-Sol vacuum tubes have a reputation of having the highest quality material and manufacturing standards of any of the vacuum tube makers. 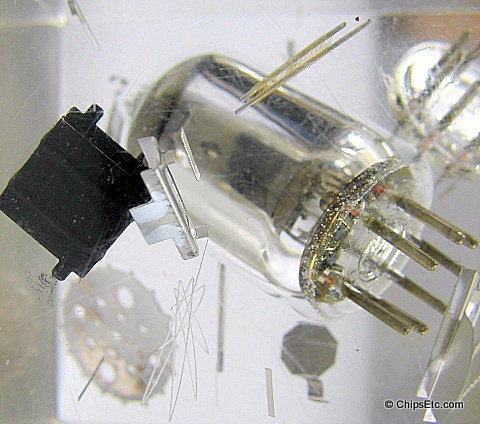 Tung-Sol manufactured Electron vacuum tubes for RCA as well. 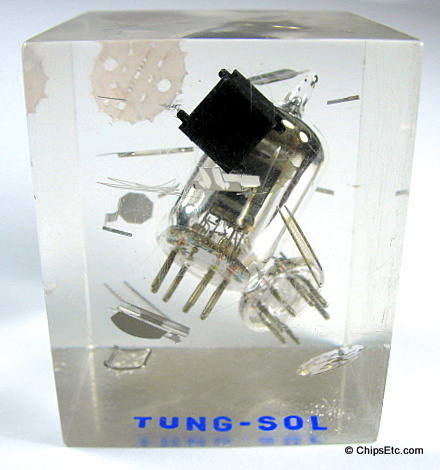 Tung-Sol went out of business in the 1960's but the Tung Sol brand name is now owned and being used by the New Sensor Corp.